All-weather tracks useful but is form comparable? I have written before about the steady increase in all-weather racing, and during one of the worst, wettest springs I can remember the six racecourses with synthetic surfaces have kept the show on the road, ensuring that levy and media rights income continued to flow. 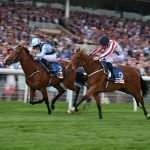 In addition, the Good Friday all-weather championship finals at Lingfield provided an excellent and competitive programme, which in attracting three winners from France proved that with the right prize-money this code can hold its own with turf racing. In 2018 all-weather tracks account for 37.5% of the scheduled Flat programme. In business terms they have no restrictions on the number of races or fixtures they can stage. 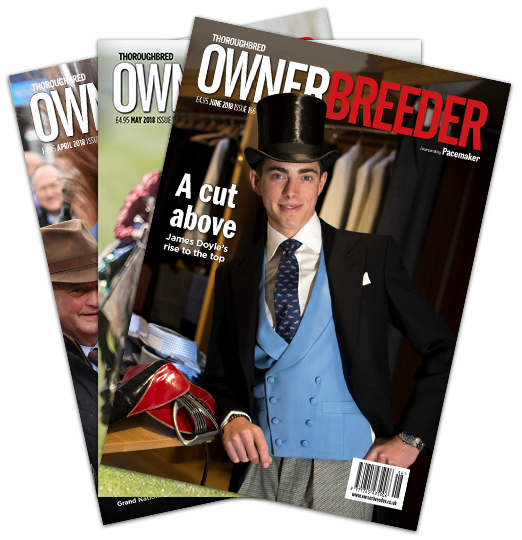 So the cost of operating the site and the return on capital invested are much better spread than on turf tracks, more than half of which race fewer than 20 times in a year. The economics for the smaller, turf-only tracks, whether National Hunt or Flat, are more precarious. How long some of them will be able to continue the battle to keep up with the constant burden of regulation, legislation and demands on capital expenditure, while also competing to match the modern standards expected by racegoers, is yet to be seen. But I do feel that in time more and more Flat racing will gravitate to the all-weather tracks, whose surfaces provide guaranteed and mainly consistent going. Twilight racing, which usually takes place under floodlights, allows the sport to operate when punters at home, particularly those using online accounts, are available to bet in real time after work, and there are also suitable opportunities to exploit overseas markets. As more information comes through from the betting industry about client behaviour, this aspect will become increasingly important, and Chelmsford City’s innovation in building the first British turf track that will operate under floodlights may not be the last. The betting and leisure industries are changing rapidly and the requirement to stage live sport when more people can watch, enjoy and participate in it will inevitably result in ever-increasing pressure for British racing to be held during that available leisure time, and not on the proverbial wet Tuesday afternoon. Attendance figures for 2017 highlighted a growing split between the major and minor, weekend and midweek fixtures, and I have little doubt that our feature meetings, festivals and weekend racing will continue to thrive and grow, in contrast to lesser fare on racecourses where facilities and standard of racing will become even more differentiated from their more successful neighbours. So, if this is what the future promises to be, more breeders should be looking to produce horses that do best on artificial surfaces. I have not yet seen an all-weather champion stallion being promoted as just that in Britain, in contrast to US dirt champions who never venture on to turf. It is amusing to hear pundits discuss the pedigree of a horse and suggest that a ‘dirt pedigree’ should allow them to race well on Polytrack. Horsemen in the US do not consider the surfaces to be at all alike, and their opposition forced fleeting trials with Polytrack and Tapeta to be generally abandoned in favour of a return to the traditional dirt surface. So, is Polytrack form completely interchangeable with turf form? Or do some horses act better on one surface than the other, and how should the industry plan for this difference? Most horses are nowadays trained on an artificial surface, with large numbers in Newmarket and Lambourn using Polytrack, but is enough known about the different types of injuries incurred on different surfaces? Since Wolverhampton was revamped into a floodlight course in 1993, only Great Leighs/Chelmsford City has been built as a new track, while the other four all-weather surfaces have been put down using existing layouts, which are often not ideal. Two final questions come to mind: what should a purpose-built floodlight track, possibly with a US-type turf surface, look like, and what type of horses should be bred to utilise it best?